In 2018 the FIFA Football World Cup will be held in Russia for the first time in its history and 11 Russian cities have been selected as venues for matches. 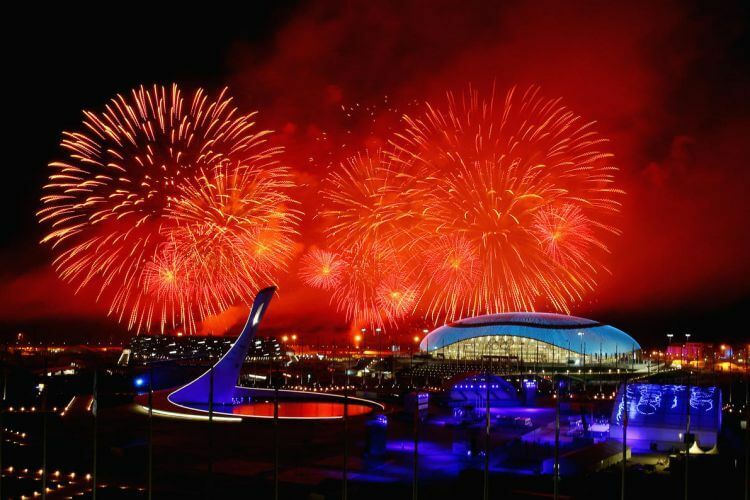 Everybody has heard of Moscow and St Petersburg, and many might also have some idea of Sochi (host city of the 2014 Winter Olympics) and Volgograd (formerly known as Stalingrad). However other city-venues are probably less well-known outside of Russia. Therefore Rusmania has prepared this brief review of each city detailing the major sights around the city, as well as the distances involved travelling there, after all Russia is a massive country! Kaliningrad was historically known as Königsberg when it was a part of Prussia and then Germany. It was transferred to Soviet Russia after the Second World War and since the fall of the Soviet Union it has been a Russian exclave, located between Poland and Lithuania. The city now has an interesting mix of German and Soviet/Russian architecture - clearly demonstrated by the city’s two cathedrals: the gothic Königsberg Dom and the modern Orthodox Christ the Saviour Cathedral. The city is also associated with amber and has a whole museum dedicated to it. The UNESCO-protected Curonian Spit, a spectacular site of natural beauty, is also located not too far from the city. 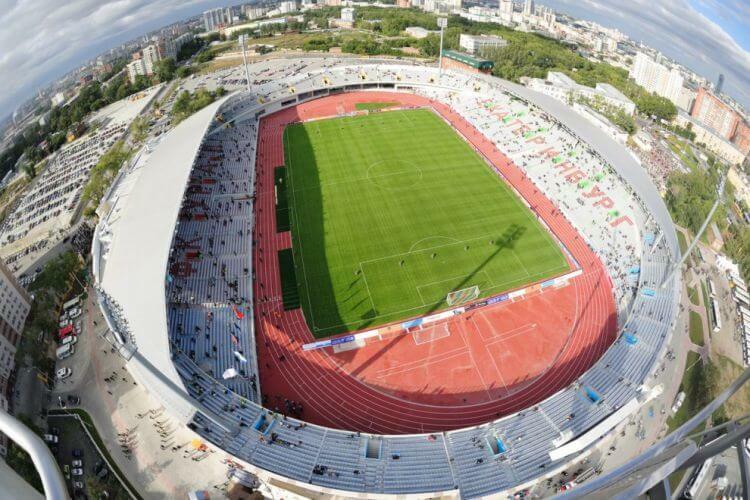 The old Baltika Stadium is the oldest stadium in Russia, it was built in 1892 when the city was still part of Germany. Kaliningrad is the closest World Cup venue for fans from Europe as it is a Russian exclave next to Poland. However if you travel to Kaliningrad by train from mainland Russia, bear in mind that you will need to cross the Russian border and will therefore need a double-entry or multi-entry Russian visa. You should also check visa requirements for Lithuania (a member of the European Union). Kaliningrad is already a rather popular tourist destination so you will find here a wide choice of hotels. Although there are no five-start hotels here yet, many international hotel chains are represented - Radisson, Ibis, Heliopark. Curonian Spit – although it is the smallest national park in Russia, the spit consists of several varied eco-systems: deserts, forest, coasts and tundra. The 98km spit is protected as a UNESCO World Heritage Site and is a stunningly beautiful place where you can spend the whole day walking around and relaxing. However as the spit is shared with Lithania, if you want to travel along the whole of it, make sure you have a double-entry Russian visit if you wish to re-enter Russia later. Svetlogorsk – this quaint resort town on the shore of the Baltic Sea, with small houses and green parks, is a pleasant place for visiting. It became a popular resort around 200 years ago when the city was known as Raushen and was often referred to as the ‘Pearl of the Baltic’. Yantarny Amber Factory – 90% of the world’s resource of amber is found in Kaliningrad and it is treated and prepared for jewellery at this factory. On a tour of the factory you can see the workings of the factory and unique jewellery made from amber. Plus you can also go up to a viewing platform to see the crater from where the amber was extracted. Kazan is the capital of the Republic of Tatarstan and styles itself as the Third Capital of Russia after Moscow and St Petersburg. It is also an interesting mix of Western and Eastern cultures with an Orthodox cathedral standing next to the magnificent Qol-Şärif Mosque in the UNESCO-protected Kazan Kremlin - the main sight of the city. Other famous sights include the Temple of All Religions, the pedestrian street Ulitsa Baumana and the historic mosques of the Staraya Tatarskaya Sloboda. The city also has many museums, theatres, clubs and restaurants. 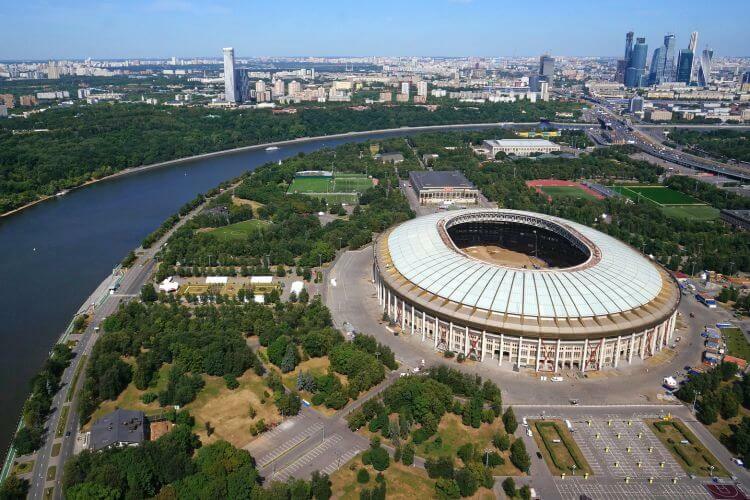 The stadium is located approximately 9km from the Kremlin and you can get there by bus, trolleybus or tram. Kazan is 800km from Moscow and is connected with the capital by flights and overnight trains. The city is located on the longest river in Europe – the Volga. Therefore it is also possible to take cruises to or from Kazan. 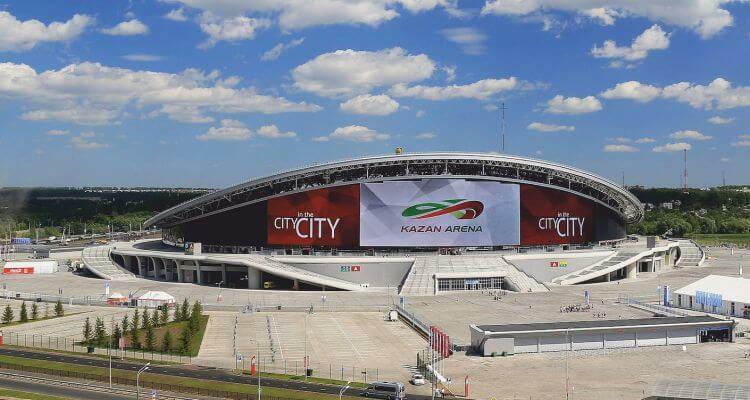 Kazan is already one of the most popular tourist cities in Russia and in the run up to the 2013 Universiade the city’s tourism infrastructure was developed which saw new hotels and restuarants opening. Sviyazhsk – this is one of the main tourist destinations outside Kazan. It is both a city-island and a city-museum, as there are no modern buildings here spoiling the view of the Volga and Sviyaga rivers. Ivan the Terrible founded a fortress here in order to aid the Russian conquest of Kazan - then the capital of a powerful khanate. Thanks to Sviyazhsk the conquest was successful on the third attempt. 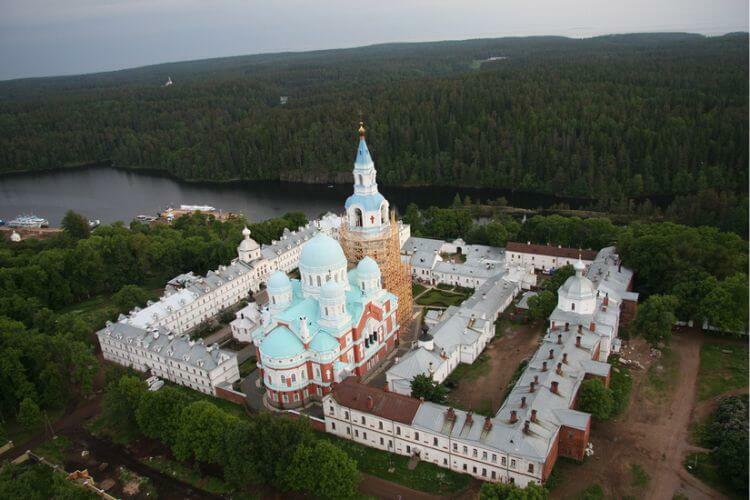 Raifsky Monastery – this is also a popular sight in the Republic of Tatarstan. 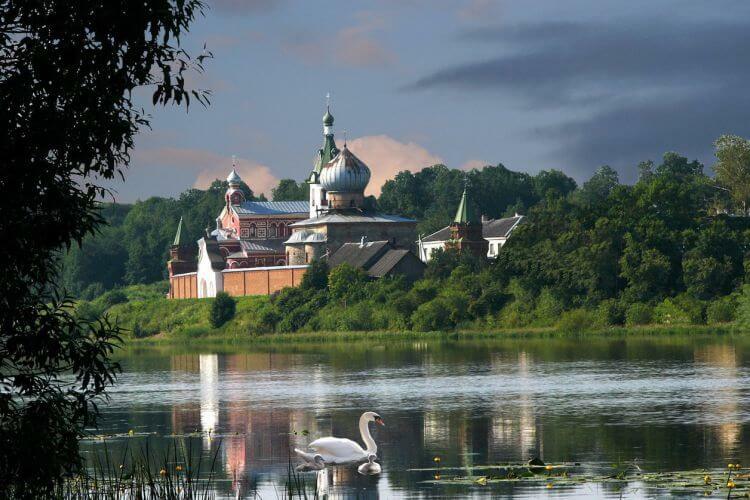 The revered monastery is located in the forests of the Kamsky Reserve on the shore of a beautiful lake. Its main relic is the Our Lady of Georgia Icon. During Soviet times a prison camp was set up within the walls of the monastery, but after the fall of the USSR the monastery was returned to the Russian Orthodox Church. Temple of All Reglions – this unique building is like no other religious site in the whole world. The architect and sculptor behind its design – Ildar Khanov – wanted to create a place of worship which incorporated elements of the world’s main religions, including Buddism, Christianity, Hinduism, Islam and Judaism. Bolgar – this site of Eastern delight, complete with ancient mausoleums, mosques and crypts on the River Volga, is considered the spiritual capital of Tatarstan and is protected as a UNESCO World Heritage Site. In addition the site also has the modern addition of a stunningly elegant mosque - the White Mosque, one of the most beautiful in Russia. 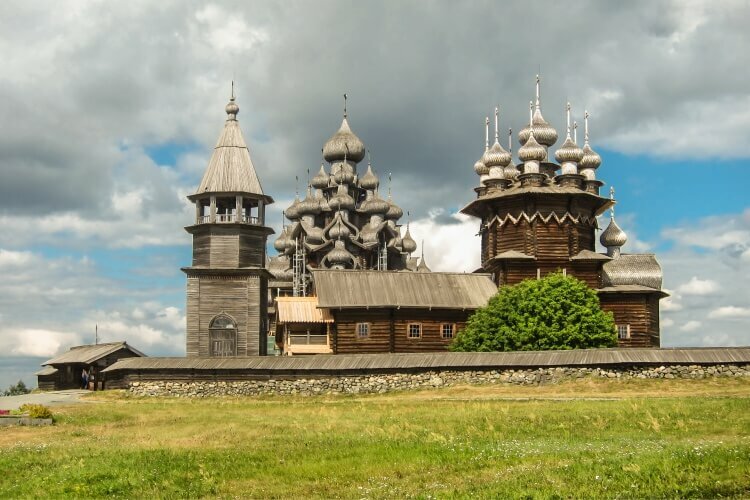 Yelabuga - although this city is located rather far from Kazan (200km), it is worth the trip as the city centre’s historical buildings and townplanning have been almost entirely preserved, leading it to be called an open-air museum among the likes of Suzdal. 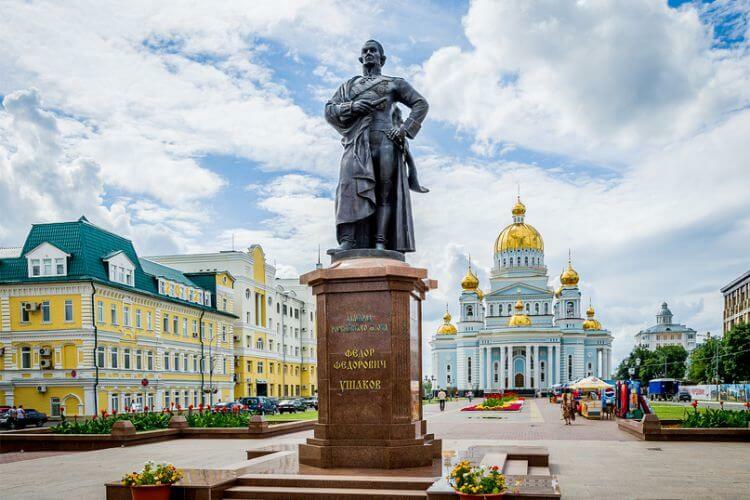 In addition the city has connections with two important figures from Russian culture: the landscape painter Ivan Shishkin and the poet Marina Tsvetaeva. There are also German and Japanese war cemeteries here, as many POWs were sent here after the war. Moscow is of course the capital of the Russian Federation and its mains sights of the Kremlin, Red Square and St Basil’s Cathedral are recognised around the whole world. In addition, the recently renovated Gorky Park, the Soviet-style VDNKh Exhibition Centre, the UNESCO-protected Novodevichy Cathedral and the stunningly beautiful metro system are other must-sees, not to mention many other museums. The city itself is also famous for its restaurants and nightlife and is often described as a city which never sleeps. It is planned to be the host venue for both the opening and closing of the 2018 World Cup, as well as semi-finals and the final match. Originally it was discussed whether it would be more convenient to knock the stadium down and built it again, but it was decided to save the iconic building and reconstruction work is currently underway. 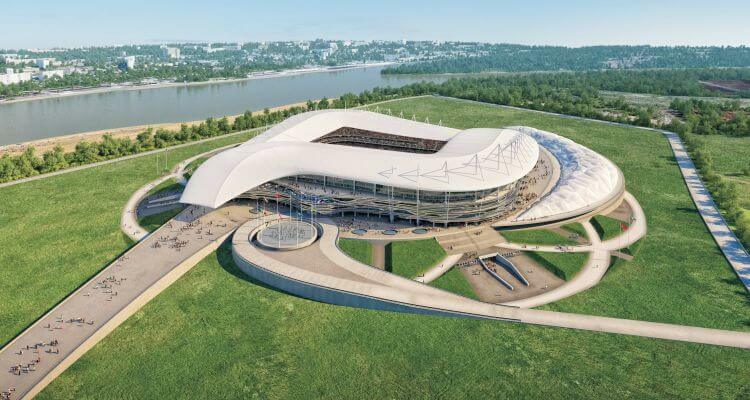 The stadium is in the north-west of Moscow next to metro Spartak (3-5 mins walk) and metro Tushinskaya (7-10 mins walk). The Spartak metro station was reopened especially for the stadium, it had previously been mothballed since the 1970s. As the capital and the country’s main transport hub, Moscow has great transport links. It has three main international airports: Sheremetyevo in the north, Domodedovo in the south and Vnukovo in the west; all three are connected with the city centre by the Aeroexpress train. There are nine railway stations in Moscow, which serve all directions in Russia, including the Trans-Siberian to Vladivostok on the Pacific Ocean. Moscow has a wide-range of hotels ranging from modest hostels to luxourious five-star internation hotel chains. Most hotels located within the Garden Ring (a road which is considered the boundary of the centre) are four-star and above and therefore rather expensive. Most cheaper options are located a bit further out. Moscow is the main transport hub of Russia and from here you can visit any part of Russia. You can get an overnight train to most cities in the Central Federal District and even to some further afield in the North Western Federal District (St Petersburg, Novgorod, Petrozavodsk, etc) and Volga Federal District (Kazan, Nizhny Novgorod). Moscow Region – there are many interesting places located outside Moscow which can be easily visited in a day or even less. For example Kolomna with its kremlin, Serpukhov with its monasteries and nature reserve for zubr, Klin where Tchaikovsky had an estate, the beautiful estate of Abramtsevo, or the estate at Gorky Leninskie where Lenin died. More information about day trips from Moscow can be found here. Golden Ring - the most popular tourist route outside of Moscow is the Golden Ring – several cities which made up the core of the mediaeval Russian state where many architectural monuments have been preserved. In one day you can visit Sergiev Posad where the main monastery in Russia is located, Suzdal – a beautiful provincial city compared to an open-air museum, or Yaroslavl – a city on the Volga whose historical centre is protected by UNESCO. More information can be found on our Golden Ring pages. By population Nizhny Novgorod is Russia’s fifth largest city and the centre of the Volga Federal District. The city was founded in the early 13th century with the establishment of a kremlin on highland overlooking the confluence of the rivers Oka and Volga. The Nizhny Novgorod Kremlin still stands, almost completely intact, and is the main sight in the city. The historical centre also has lots of nice streets with historical buildings which are pleasant for walking around. Nizhny Novgorod is one of the largest cities on the Volga and it is possible to take a cable car across the river to the city of Bor on the opposite side. Many cruises along the Volga are also offered from Nizhny Novgorod. 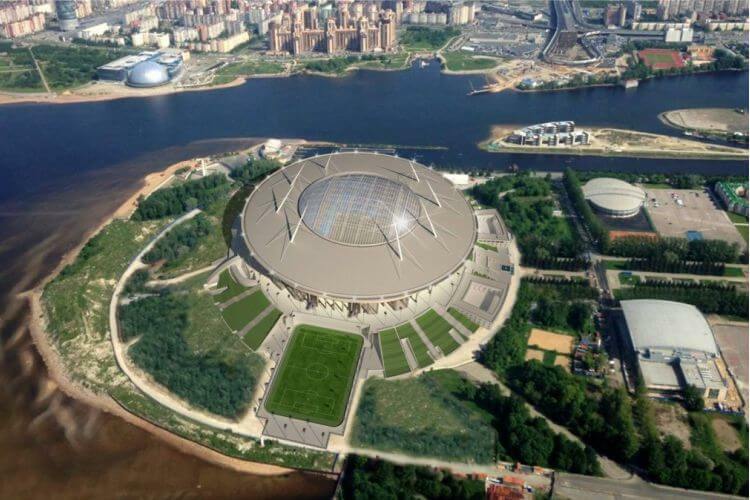 The stadium is located on the headland created at the confluence of two great Russian rivers - the Volga and the Oka. The city is located just four hours from Moscow by high-speed train, which passes the Golden Ring city of Vladimir from where you can get a bus to Suzdal. Nizhny Novgorod is also situated on the Trans-Siberian Railway. The city has more than one bus station, so make sure you have the right one if you are travelling by bus. The city has one five-star hotel and several international-branded three-star and four-star hotels. As a major city there here are lots of places to eat and drink, many located around the city’s main pedestrian street. Semenov – this is a major centre for the production of one of the main symbols of Russia – the Russian doll. In addition it is now home to the Kholoma style of painting. You can visit the factory where Russian dolls and other wooden handicrafts are still made today, and try your hand at painting a Russian doll yourself. 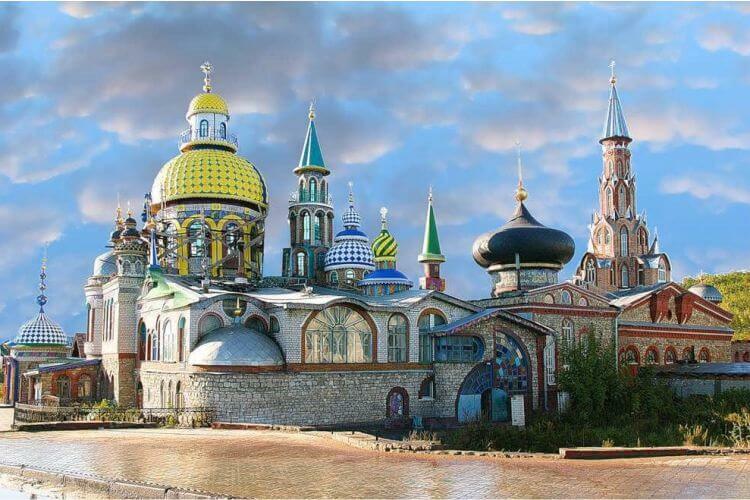 Diveevo – this is one of the main monstaeries in Russia, in fact it can be described as a whole Orthodox complex. The most revered relic here is the tomb of St Serafim of Sarov. Bolshoe Boldino – Russia’s most beloved poet Aleksandr Pushkin had an estate here where he was very productive one autumn. In addition, the town is just a very pleasant place to visit and relax. Gorodets – this city located on a high-bank of the River Volga is famous for two things. Firstly it is said to be a city of masters due to the various forms of handicraft traditionally made here. Secondly, the celebrated mediaeval hero – Grand Prince Aleksandr Nevsky – died here. Gorokhovets – although this city is located in the Vladimir Region, it is easier to visit from Nizhny Novgorod. It is one of the best preserved provinicial cities in central Russia and visiting the city is like travelling back to the 19th century. Makarievsky Convent – this magnificent white-stone walled convent is located far from civilisation right on the bank of the River Volga. It is hard to get here using public transport but it is definitely worth seeing. The easiest way is from a cruise ship heading from Nizhny Novgorod down the Volga. Sochi is situated in a subtropical zone between the Black Sea and the Caucasian mountains. It has long been a firm favourite among Russian holidaymakers who come for the sea and sun in summer and for the skiing in the mountains in the winter. Its fame has now spread abroad since hosting the 2014 Winter Olympics. As a resort-city it is pleasant to just stroll around the city, especially the Black Sea embankment, but you should also try to visit the Dendarium Botanical Gardens and go to the Krasnaya Polyana Ski-Resort. In summer you of course won’t be able to do any skiing at Krasnaya Polyana, but it is still worth going to ride the ski-lifts and enjoy the views. As a top tourist resort there are also many day-excursions on offer to interesting sites around the city. Built especially for the 2014 Winter Olympics. From the tribune of the stadium you can get amazing views of the Black Sea and the Caucasian Mountains – in fact the stadium is named after one of the mountains. 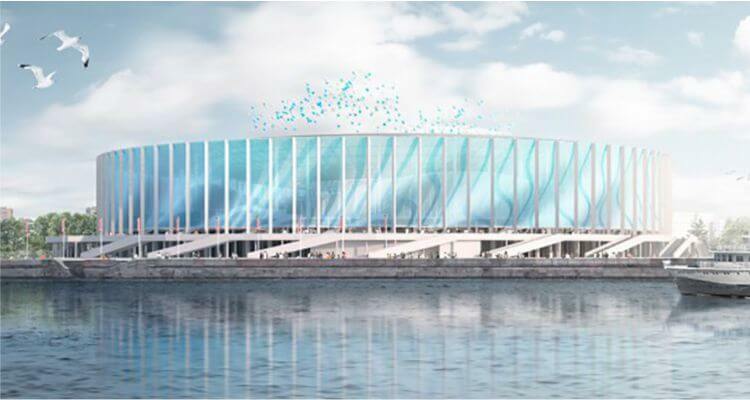 This fact has also inspired the design of the stadium – it is reminiscent of both a seashell and a snowy mountain peak. Krasnaya Polyana – this is the main ski-resort in the city; it hosted the 2014 Winter Olympics. In summer you can still come here and go on the ski-lifts to enjoy views of the Caucasian Mountains. Skypark – this is the place to come if you are seeking an adrenaline rush. 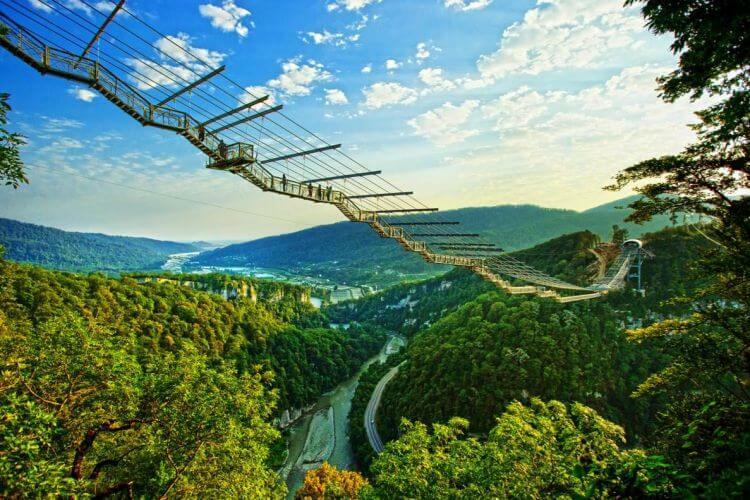 You can walk across a suspension bridge over the River Mzymta, which at 400 metres long is the largest bridge of its type in the world. You can also experience the highest bungee jump in the world – 200 metres. If that is not enough the park also has the highest swings which are 170 metres high. Stalin’s Dacha – one of Stalin's favourite places. The dacha is now located on the site of a sanatorium, but it is today open as a museum and its furnishings have been completely preserved. Mount Akhun – one of the most popular tourist destinations in Sochi from where you can enjoy panoramic views of the city and the Olympic park. 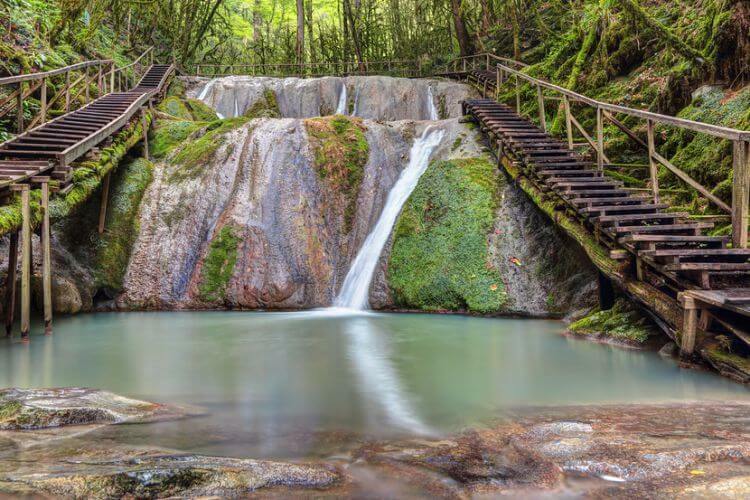 33 Waterfalls – this is a stunningly beautiful cascade of many waterfalls. It is approximately 500 metres in length. Crystal clear water flows over enourmous boulders which form a set of steps.The tallest of them is 11 metres and the smallest in 1.5 metres. Abkhazia - the break-away republic of Abkhazia is located next to Sochi. For centuries it has been a tourist destination thanks to Lake Ritsa, the resort of Gagry and the monastery at Novy Afon. The republic declared independence from Georgia in 2008, but this fact is largely unrecognised internationally. You should be aware that if you cross into Abkhazia from Russia, you will be breaking Georgian law for illegally crossing into what Georgia considers its territory (according to Georgian law you can only visit Abkhazia via its border with the rest of Georgia). If you later go to Georgia, you may face a fine or even deportation. St Petersburg is another city which doesn’t need much of an introduction as it is already Russia’s most popular tourist destination. As it was the capital of the Russian Empire for just over 200 years, the city is famous for its imperial palaces and grand buildings. The city is also known as the Venice of the North due to the fact that its consists of islands connected by bridges with many canals. During the Soviet era the city was renamed Leningrad and during the Second World War its citizens underwent unimaginable suffering during the 872-day siege of the city. The whole city centre is protected by UNESCO and is, in itself, one of the highlights of the city, but of course no visit to St Petersburg would be complete without visiting the Winter Palace which now holds the Hermitage - one of the world’s leading art galleries. If one palace isn’t enough for you there are plenty more located in and around the city, the best examples being in the suburbs of Peterhof, Pavlovsk and Pushkin. 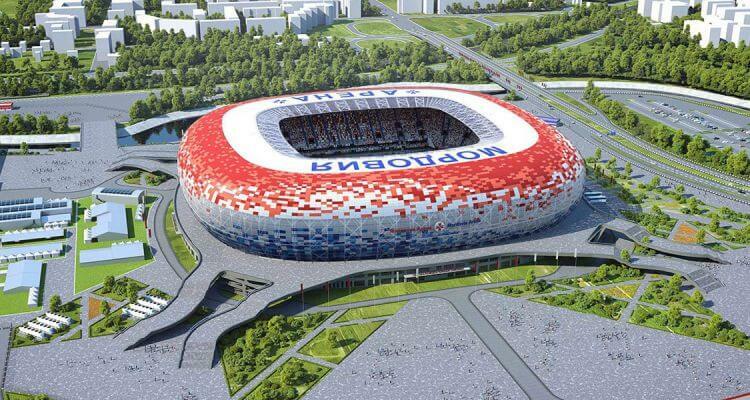 The budget for the stadium has already over run, and it looks like this stadium is set to become the most expensive in the world. St Petersburg is the most visited city in Russia and has a well developed tourist infrastructure. It can b reached by Moscow by a short flight, a four-hour express train or a standard overnight train. The city has many great restuarants, world famous theatres, trendy night clubs and luxourious hotels, however there are also many restuarants and hotels which meet a more modest budget. St Petersburg’s Suburbs – when it St Petersburg you should definitely take the opportunity to visit at least one of the palace complexes located outside the former capital. The most visited are the Grand Palace at Peterhof, which is famed for its fountains, and the Catherine Palace in Pushkin, which is famed for its Amber Room. In addition there are also palaces at Lomonosov (Oranienbaum), Pavlovsk and Gatchina. Valaam - one of the most famous monasteries in Russia; it is located on an island in Lake Ladoga. Here you can feel at one with nature in the tranquillity of the mosatery’s beautiful architecture. You can visit the monastery on a day trip from St Petersburg, but it is better to come here for two days. Vyborg – this city is an interesting mix of cultures having once been part of Sweden and Finland. You can see here buildings which are uncharacteristic for Russia, as well as many monuments and even a mediaeval Scandinavian castle. The city also has a beautiful park famous for its rocks – Mon Plezir. You can visit Vyborg on a day trip from St Petersburg. Kizhi – the church ensemble on the island is a masterpiece of traditional Russia architecture, consisting of the 22-domed Transfiguration Cathedral, which is said to have been built without using nails. It is protected as a UNESCO World Heritage Site. It takes an hour to get the island by boat from Petrozavodsk – the capital of the Republic of Karelia. Staraya Ladoga – this settlement is considered to have been the first capital of Ancient Rus, where the warlord Ryurik is said to have first arrived after taking up the invitation to rule. Its ancient fortress has been preserved which gives you an insight into the history of this once important location. Novgorod Veliky – another ancient city of Rus, it is famous for it kremlin and Russia's oldest surviving cathedral – St Sophia's Cathedral. In addition to these main sights, there are also many other ancient churches in the city, plus a museum of wooden architecture on the outskirts of the city. The Novgorod Kremlin is protected by UNESCO as a World Heritage Site. 100km from Novgorod is the city of Staraya Russa, where the great Russian author Fyodor Dostoevsky lived and work; his house is now a museum. You can visit Novgorod Veliky on a day trip from St Petersburg, but an extra day wouldn’t go amiss here. 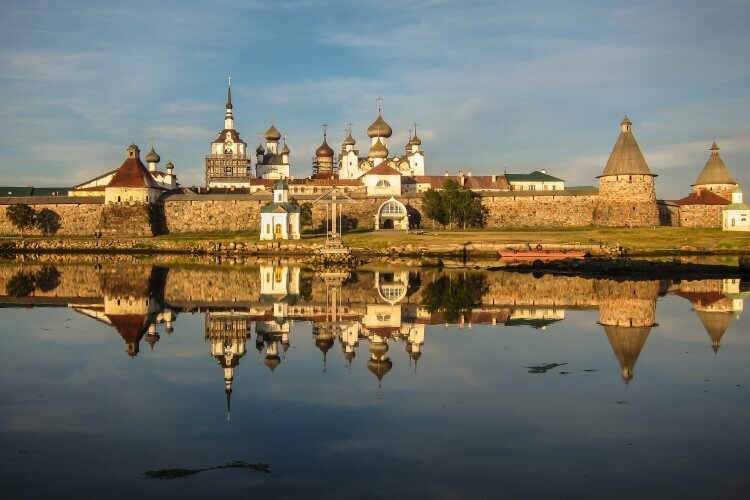 Solovetsky Islands – despite their tragic 20th-century history, these islands are one of the most magical, tranquil and picturesque places in Russia. Located here is the Solovetsky Monastery, which was turned into the prototype Gulag camp during Stalin's reign. By coming here it is as if you have been transported back in time as there are few modern buildings and hardly any cars. It is possible to go to the islands on a weekend, getting there by train, car and then boat. More information can be found here. Pskov – yet another ancient city with an impression kremlin. The icons and frescos within the cathedral in the kremlin are considered masterpieces of Pskov master painters. Although there is a train to Pskov from St Petersburg it runs infrequently. Therefore it is better to get there by bus (5-6 hours) or car (4 hours). Rostov-on-Don is the administrative centre of the Southern Federal District. The city is of course associated with the great southern Russian river which flows through it and with the Don Cossacks, who had their headquarters in nearby Novocherkassk. Long before the Russians and Cossacks arrived in the area the Greek colony of Tanais was situated here, and its ruins still remain on the outskirts of the city. The construction of the stadium is the first part of a plan to develop the southern side of the River Don. During the construction several unexploded bombs from the Second World War were found. Rostov-on-Don is the largest city in the south of Russia, although it is more of a centre of business rather than tourism. 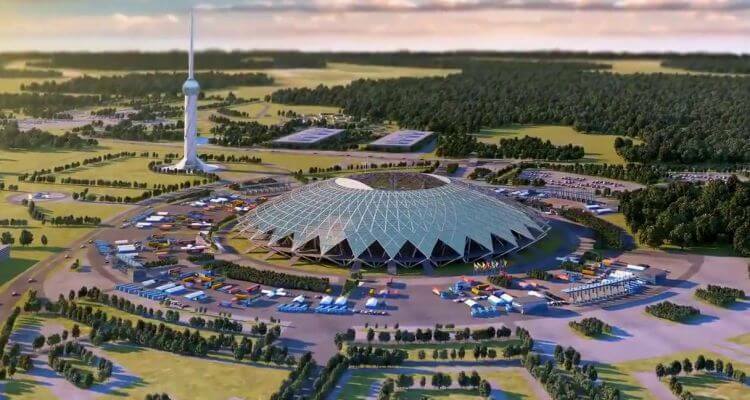 It is also a transport hub, being located close to the Azov Sea and Ukraine and onwards to the Caucasus. There are many hotels here, some five-star ones, but mainly three or two-star ones. Despite having a population of over a million, the city has no metro and public transport is primarily by bus. Starocherkassk – this old capital of the Don Cossack Host is located just outside the city. Its buildings and churches provide some insight into the life of the first Don Cossacks. Also here is the house of famous Cossack Kondraty Bulavin. Novocherkassk - the modern capital of the Don Cossack Host. Its main sights are the enormous Annunciation Cathedral, the Ataman Palace and the Triumphal Arch on the entrance to the city. Tanais - the archeological remains of an ancient city. Tanais was founded in the third century BC by Greek merchants based in the Crimea and it had a strategic role controlling the northern waters of the Black Sea. At the local museum you can see some of the treasures found here in archaeological digs. Vyoshenskaya – this is one of the most beautiful settlements located on the Don. It is famous for being the home of ‘And Quiet Flows the Don’ author Mikhail Sholokhov and the Nobel Prize for Literature's beautiful home is now a museum. Just outside the settlement is a set used in a 2014 film adaptation of Sholokhov's famous work, as well as Russia's only museum dedicated to the White Movement of the Russian Civil War. Vyoshenskaya is located rather far from Rostov so you would need to spend the night here if you decide to visit. Taganrog – this port city is most famous as Anton Chekhov’s birthplace, and the house where he was born is now a museum. Azov – this city is located 15km from the Azov Sea and was once stragically important for the defence of southern Russia. The earthern mounds of a Turkish fortress remain and the local museum has collections of ancient Sarmatian gold and other belongings found in burial mounds. Samara is another city located on the mighty Volga and was founded in the late 16th century as a fortress to aid Russian expansion into the Volga region. During the Second World War Samara was prepared to take over as the Soviet capital should Moscow fall. Some government organisations and diplomatic missions were transferred here and a special bunker was especially built for Stalin. 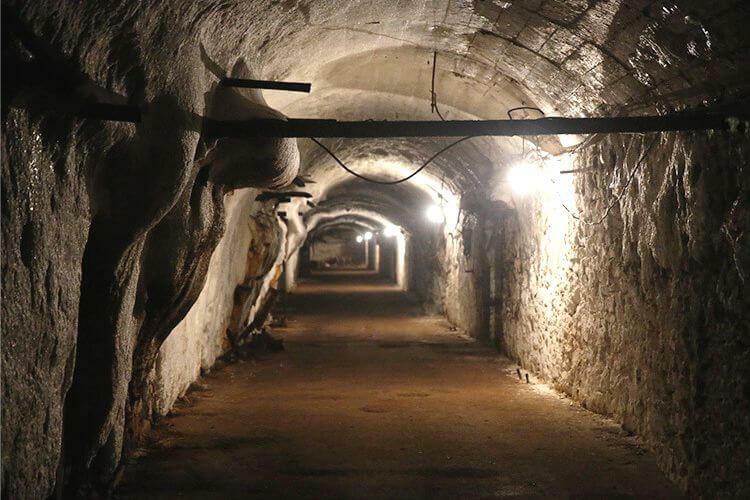 Stalin never needed to make use of the bunker and today it is open to the public and has become one of the city’s most interesting sights. The city is also home to the Zhigulyovskoe Brewery, which is always a plus with football fans. Originally it was planned to build the city on an island to the south of the city. Samara is one of the largest cities on the Volga and so has lots of hotels and restaurants and cafes, many of which are located on the city’s five kilometres of embankment. It is a transport hub and its railway station is the highest railway station in Europe! The city also has a metro system. From Moscow you can get to Samara by plane or by train. The Zhiguli premium night train runs between Moscow and Samara in 13 hours. Ulyanovsk – this city is the birthplace of Vladimir Lenin and it has the largest museum in the world dedicated to him - it is built around the actual house where Lenin was born. A whole street where Lenin once lived has also been preserved so that even if you have no interest in the Leader of the World Proletariat, there is an opportunity to see how a Russian city looked at the end of the 19th century. Ulyanovsk is located 250km from Samara, it takes about five hours to get there by car or eight hourse on a night train. 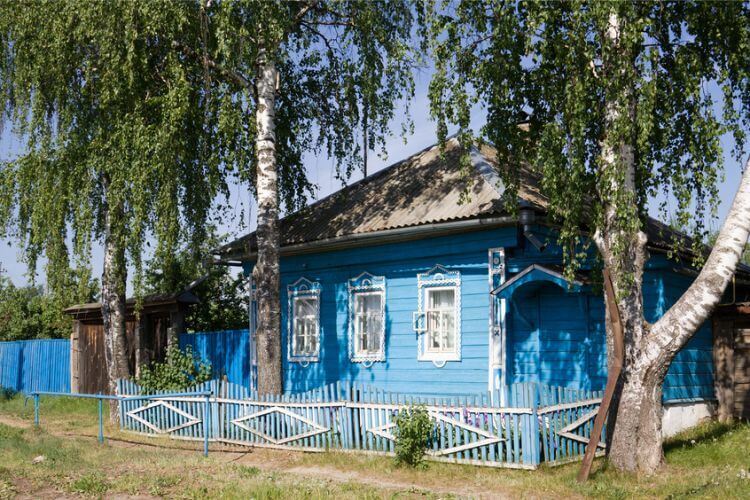 Syzran – one of the oldest cities in the Samara Region and a good example of a Russian provincial city. It once has a kremlin but now only one tower of it remains. Syzran is 170km kilometres from Samara and can be reached by bus or train. Samara Bend – this is the largest and most famous curve of the River Volga, formed as a result of a deviation of the flow of the river. Located within the bend is the Samarskaya Luka National Park and the Zhiguli Mountains. 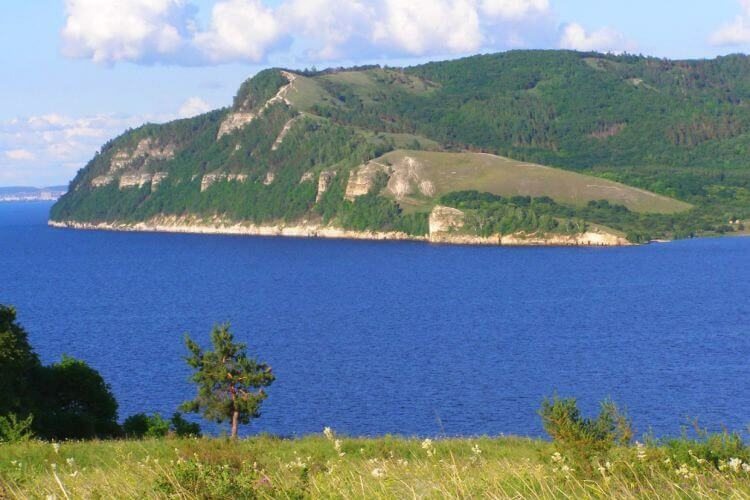 In addition to these mountains being part of a stunningly beautiful national park on the Volga, it is also considered an area where unexplained and anomalous events take place. The bend is located 80km from Samara. Krasnoglinsky Refridgerator – this is one of the largest fridges in Russia located within Mount Tip-Tyav, in the Soviet era it served as a store of food products. It is 11 kilometres in length and can hold 16,000 tonnes of foodstuff. Garibaldi Castle – probably the most unusual sight in the region – a modern hotel in the form of a mediaeval castle. No need to mention that is looks quite out of place on the shores of the Volga. Saransk is probably the least known of the all the cities which will be hold a match. It is the capital of the Republic of Mordovia - home to the Mordvin people who speak a Finno-Uralic language. It is also the smallest city which will host games during the World Cup. The main sight in the city is the grand St Theodore Ushakov’s Cathedral and there are also museums detailing the history, culture and art of the Mordvin people, including a gallery displaying the work of famous Mordvin sculptor Stepan Erzya. It is built in the form of a bright red sun, which is an important symbol in Mordvin culture and depicted on the republic’s flag. Travelling to Saransk is a real adventure into provincial Russia. In fact many Russians might even have problems finding Saransk on a map. It is 630km from Moscow and can be reached by train or plane. It doesn’t have any international-brand hotels, but the hotels it does have are comfortable with good service. The city has lots of restaurants, including ones offering local cuisine. Temnikov – this is the oldest city in Mordovia, although it can hardly be called a tourist hotspot, it does have several architectural monuments. By coming here you can get an insight into provincial Rusisan cities off the beaten track. Close to the city is the Sanakarsky Monastery – a working Orthodox Monastery where you will find the tomb of Admiral Feodor Ushakov, who retired to Temnikov. He was later canonised. 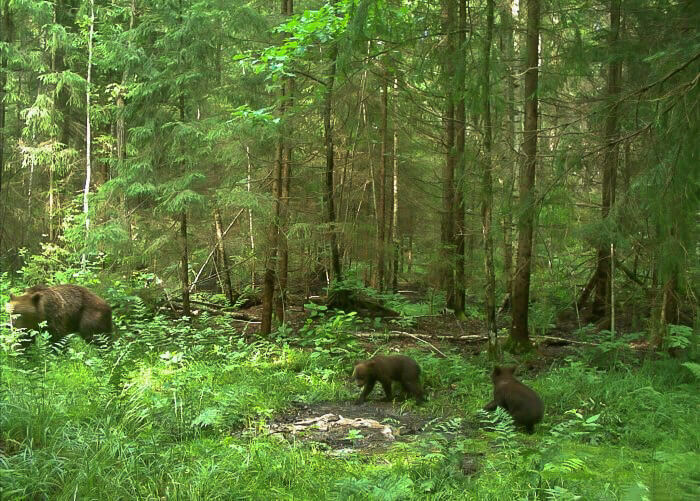 Mordovsky Nature Reserve – this nature reserve is covered with forests, mainly pine, but in the eastern and western parts there are birch forests and in the central part linden trees. There are also some old oak trees growing along the River Moksha. Its wildlife includes otters, foxes, lynxes, bison, squirrels and roe deer. The park has several ecological paths for vistors to walk along to enjoy the nature. Insar – this is another of Mordovia’s provincial cities. It was founded as a fortress and today the city still has some architectural monuments, the main being the Svyato-Olginsky Convent. Upon receiving his Russian citizenship, French actor Gerard Depardeu came to Insar to try the local cheese which to some is considered the best in Russia! Volgograd is still most famous for its wartime history when it was known Stalingrad. It was here that one of the bloodiest battles in human history was fought; a battle which resulted in the Nazis being fatally wounded. Most of the sights here are understandably connected with the battle, most strikingly the breathtaking Mother Russia Calls Monument which is the centrepiece of the Mamaev Kurgan Memorial Complex. Other wartime era sites include the panorama, the ruins of the city’s mill, Pavlov’s House and the Rossoshka Military Cemetery. The city’s architecture is also interesting as practically the whole city centre was rebuilt after the war in the Soviet style known as Stalinist Empire. 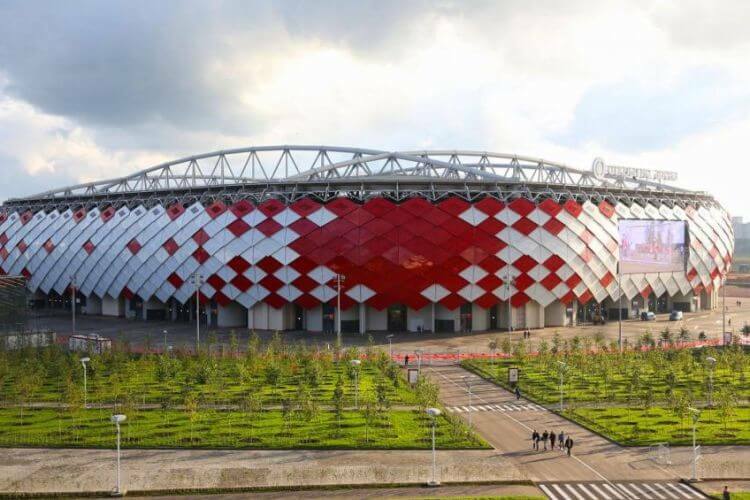 The stadium replaces the old Tsentralny Staium and its façade is decorated with lattice sturctures forming a pattern reminiscent of Victory Day fireworks. Volgograd is one of the longest cities in the world, stretching 50km along the River Volga. Most of the main sights though are located in the centre, the main exceptions being the World’s largest Lenin statue and the Staraya Sarepta museum, which are on the city’s outskirts. The railway station is located in the city centre, while the airport is 7km from the centre. Despite being a million-city, it does not have a metro – instead it has a tram line, which in places also runs underground. Volgograd is 950km from Moscow, so it is best to fly here rather than take the train. Rossoshki Military Cemetery – this is the largest cemetery for German and Soviet soldiers who fell during the battle of Stalingrad. It is divided into two parts: the Soviet Section, which currently holds the remains of 12,000 people but this number is being added to as more bodies are reburied here, and the German Section where more than 58,000 people are buried. Astrakhan – historically the southern outpost of Russia where the southernmost kremlin in Russian can be found. The city is also located close to the delta of the Volga on the Caspian Sea – a place of outstanding natural beauty. The region is one of the centres for the production of black caviar. It takes around five hours to get to Astrakhan from Volgograd by express train, and would be worth spending a couple of days here. Elista – this is the capital of the only Buddhist republic in Europe. With its Buddhist datsans, pagodas and steppe, you would be forgiven for mistaking it with somewhere in Asia. It takes about five hours to get to Elista Volgograd by car. 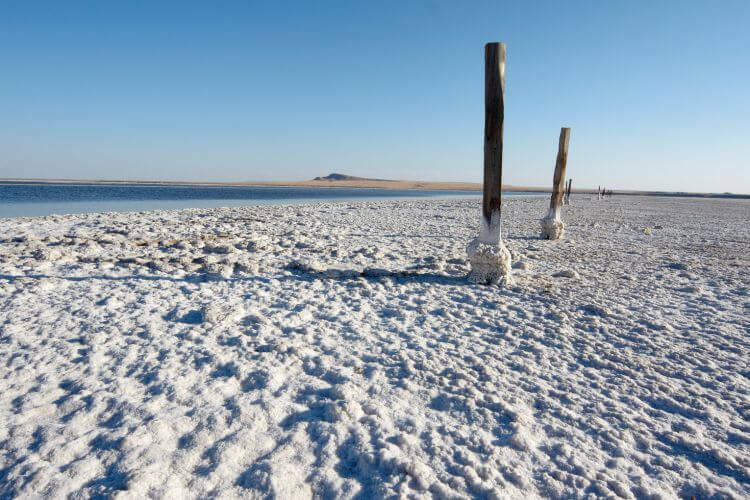 Baskunchak Salt Lake – this unique salt late provides 80% of all Russian salt. In places the concentration of salt reaches 300g per litre and the salt obtained here is renouned for its purity. You can also swim here, without the risk of sinking, while enjoying amazing views. The lake is 200km from Volgograd and it is fairly difficult to get here using public transport, therefore it is best to organise a taxi or to visit as part of a tour. Out of all the venues, the furthest from Moscow is Yekaterinburg which is the administrative centre of the Urals Federal District and Russia’s fourth city by population. 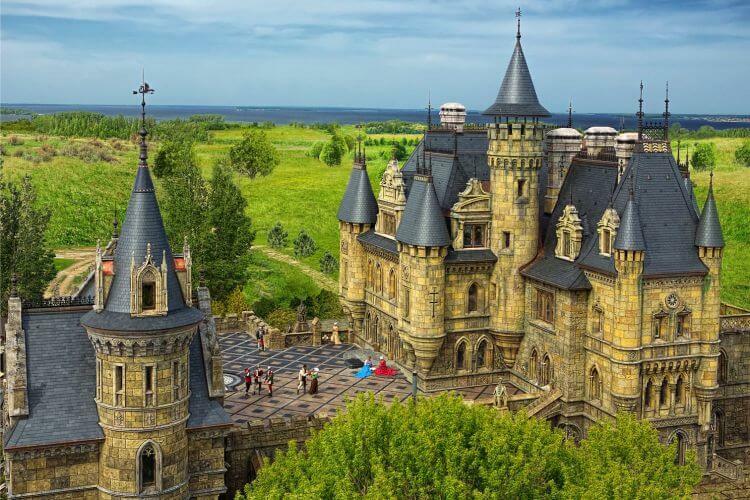 It began its life at the beginning of the 18th century as the location of a fortress and a factory and was named in honour of Empress Catherine I (the wife of Peter the Great - not Catherine the Great as sometimes mistakenly thought). The city today is also famous, or infamous, as being the site of the execution of Emperor Nicholas I and his family. The building where they were all shot dead was demolished and now a cathedral has been built in its place. The first Russian president Boris Yeltsin began his career in Yekaterinburg and now the city has an excellent and modern museum dedicated to his years in office. In addition Yekaterinburg is a centre for semi-precious stones which are obtained from the Urals and make excellent souvenirs. The stadium has been complete refursbished for the World Cup while its historic façade has been retained. As Russia’s fourth largest city by population, you can find many hotels, restaurants and places of entertainment in Yekaterinburg. The railway station is located close to the centre of the city and is on the Trans-Siberian. The local Koltsovo Airport is 16km from the city centre. The city has a metro system and several bus stations. Yekaterinburg is 1800km from Moscow, so, although you can get there by train, it is much easier and quicker to fly. Nizhny Tagil – an industrial centre of Russia, where the Armata tank is built; the factory can be visited. The city also has lots of museums dedicated to its industrial links, including a whole factory which has been decommissioned and turned into a museum. Nizhny Tagil is 140km from Yekaterinburg and it is comfortable and convenient to get there by Lastochka high-speed train. Ganina Yama – this is the place where the bodies of the last tsar and his family were first buried. Today a monastery stands on the pit where the bodies were first dumped by the Bolsheviks. It is located just outside the city and can be reached by suburban train or taxi. Alapaevsk and Nizhnyaya Sinyachikha – Just outside of Alapaevsk other members of the imperial family, including Grand Duchess Yelizaveta Fyodorovna and Grand Duke Sergey Mikhailovich, were thrown into a well and left to die there. A monastery has been built on the site of the well. Nizhnyaya Sinyachikha also has a beautiful museum-reserve of wooden architecture. Alapaevsk is 150km away and buses run between the city and Yekaterinburg. Zlatoust – this small city on the Trans-Siberian Railway is a perfect place to see the Ural mountains and the city itself is located on hills making it nice to travel through on the city’s tram line to appreciate the views. However just outside the city is the Taganai National Park, where you can enjoy really stunning views without needing any special preparation, apart from a good pair of walking boots. In addition there is the Bazhov Mountain Park which brings to life legends of the Urals, famously collected by author Pavel Bazhov. Zlatous is 260km from Yekaterinburg and can be reached by bus or train. Nevyansk – this city is home to a famous landmark of the Urals – the leaning tower of Nevyansk. In addition the city is also home to a school of icon painting which was founded by Old-Believers who moved here to work in the city’s factories. The city has a museum dedicated to this artform. Nevyansk is 88km from Yekaterinburg and it is comfortable and convenient to get there by Lastochka high-speed train. Europe and Asia Border – this momunment was built for tourists to take photos on the border between Asia and Europe, although in reality the real border is located further out of Yekaterinburg – 100km from the city. It can be easily visited by taxi from Yekaterinburg. 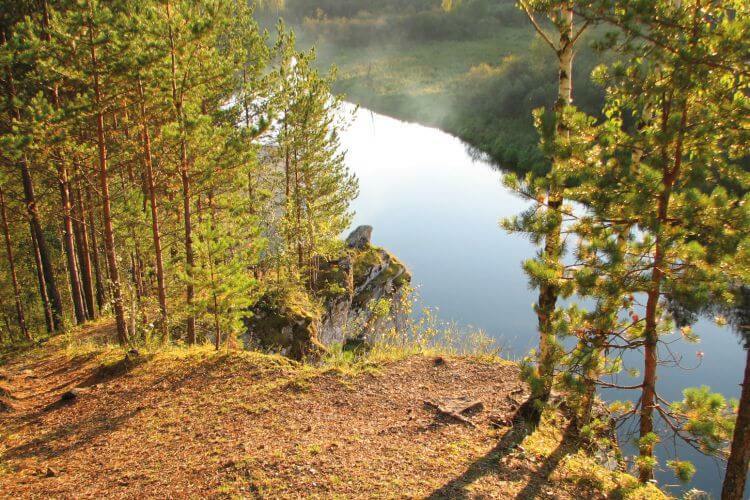 Oleni Ruchi Nature Park – this is one of the most popular places of natural beauty in the Sverdlovsk Region. The park offers several trails from five to 15 kilometres in length. It is also possible to go rafting and quadbiking here. It is 100km from Yekaterinburg. St Petersburg has hundreds of museum and many of the smaller ones are often unfairly overlooked by tourists. One such hidden gem is, quite literally, the Geological Museum which is part of the Aleksandr Karpinsky All-Russian Scientific and Research Geological Institute. In 2010 the Russian Ministry of Culture created a new list of “historical cities of Russia” limiting the status to just 41 cities (there were previously over 400). We visit some of these historical cities to see whether they have the potential to become popular tourist destinations. 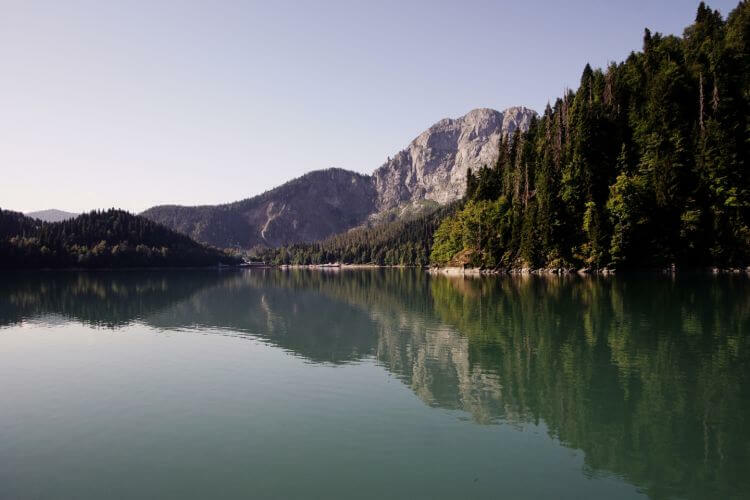 Russia has around 50 national parks which were set up to preserve the country’s most spectacular nature, as well as its cultural heritage and traditional ways of life. One of the most popular and most unusual sights in the southern Russian city of Rostov-on-Don are the Paramonovskie Warehouses, which are the ruins of 19th century warehouse complex, located just of the city’s pleasant Don embankment.